Light Cold or Warm sensations or Tingling sensations; Feeling of peace and calmness; Increase of energy; Boost of Immune system; Lower blood pressure; Reduction of different pains and inflammations; Reduction of arthritis; Speed up the recovery and healing. How to USE: For every day use for at least 15-30 minutes a day up to an hour, few hours, even overnight. 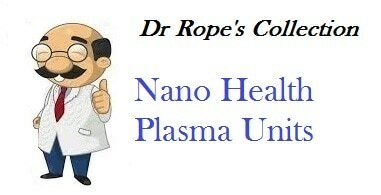 Nano Plasma Units will help you to relieve, heal and balance different kind of pains and physical and emotional ailments. Use a Whole Full Body Set or as Separate Units. Male 65 yo: arthritis pain and stiffness removed from both hands; Female 55yo: pain removed from hips and legs; Male 45 yo: blood circulation restored in hand and arm after surgery; Female 68 yo: pain removed from knee and hands; Female 80: arthritis pain and stiffness removed from both hands; Male 78: pain removed from the elbow; Female 70: arthritis pain and stiffness removed from legs and hands. 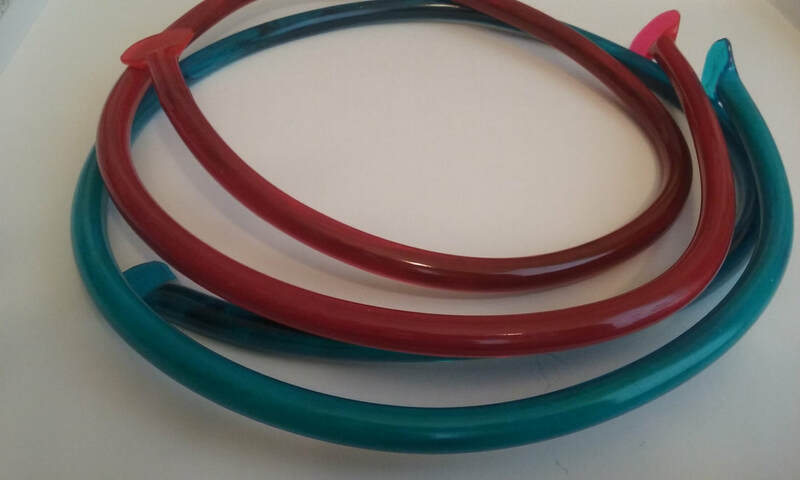 ​Red, Black(limited availability) and Blue. WristLet/Set : Apply to balance issues with hands, arms, shoulders. You can wear just one WristLet/bracelet on the left or right wrist, or use them on BOTH hands at the same time. Please use the WristLet’s left end on the top, right end at the bottom for the increase of energy flow. The Unit is easy to adjust due to the nano coated Copper wire inside the plastic Tube. AnkLet/Set: Apply to balance issues with legs, feet, ankles, calves, knees, hips. You can wear just one AnkLet on left or right Ankle, or use them on BOTH ankles at the same time. Please use the AnkLet’s left end on the top, right end at the bottom for the increase of energy flow. 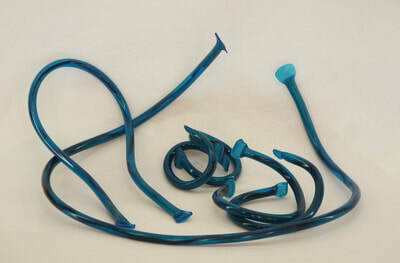 ​The Unit is easy to adjust due to the nano coated Copper wire inside the plastic Tube. intestines and hips, thighs, and knees. WaistLet (Single unit) – place it around the Waist in any fashion desired, can be used in a circle or with ends down. NeckLet: Apply to balance issues with upper body: head, neck, shoulders, chest, upper back, lungs and partial intestines. NeckLet (Single unit) – place it around the neck in any fashion desired, can be used in a circle or with ends down. just wrap in around your water bottle or Cup and it's ready. MIX inside the Tube: CO2 Gans/ZnO Gans 98%, CuO Gans .25%. Vitamin B6 .25%, Vitamin B12 .25%, Turmeric Curcumins - .50%, Nascent Iodine - .25%, some minerals. ​WrapLet will help you to restructure and recharge the water, infuse it with Plasma Field. Drink this water each day to help your Body to balance and heal any physical issues and illnesses, to boost your immune system, feel less stress and tension, speed up the recovery and healing. 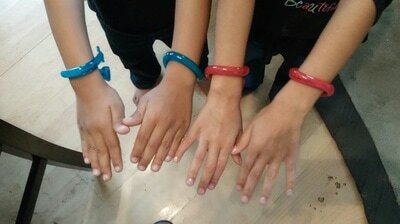 We have WrapLets in Red and Blue Colors. Payments accepted: Paypal, any credit/debit cards. Shipment in US: fast 2-3 days Priority Mail.